To subscribe to the Kazakhstan Blog no e-mail address is necessary, just right-click on the orange RSS button (see bottom buttons to the left) and then paste the URL into your RSS reader. Or click on the Google, My Yahoo!, My MSN, newsgator, or Bloglines buttons if you keep a personalized home page there. Number one exporter of potassium. Kazakhstan is in Europe and Asia. Kazakhstan is in Europe and Asia, however 96% of the population is in the Asia part. 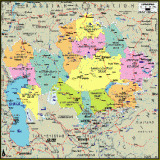 Continue reading "Kazakhstan is in Europe and Asia." Kazakhstan was the first country in the world who abandoned atomic bombs! Continue reading "First Nuclear Free Country"
Kazakhstan had 4 capitals: Orenburg, Kyzylorda, Almaty, Astana. So in 92 years Kazakhstan changed its capital 3 times. 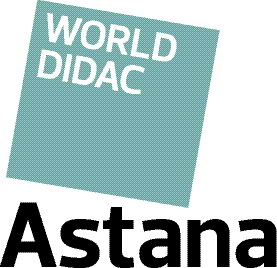 The 5th International exhibition of technologies for education and professional training "WORLDDIDAC Astana 2017"
Continue reading "The 5th International exhibition of technologies for education and professional training "WORLDDIDAC Astana 2017""